From violent unrest in Libya to floods in Thailand, events in the last decade have shown the impact that disasters—whether natural or manmade—can have not only on citizens, but also on migrants who live and work in major host countries. Migrants may be less familiar than citizens with the environment in which they live, may not speak the dominant language, and may mistrust national authorities, often reflecting their negative experiences interacting with officials, as well as the general lack of trust between citizens and authorities in many countries of origin. Importantly, migrants displaced by crisis, even if they cross international borders, do not benefit from international protection the way that refugees do. Under customary international law, their countries of citizenship are responsible for affording them protection. In practice, however, not all countries of origin have the capacity to do so and some may be unable to support citizens caught in a crisis abroad. Meanwhile, migrants do not necessarily view their countries of citizenship as possible sources of protection, given the limited resources of these countries and the sometimes tenuous or nonexistent relations between emigrants and the government. For low-skilled labor migrants from such countries, whose position in the host-country society may already be somewhat tenuous, their access to protection and essential services during times of crisis can be inadequate. This article explores what happens to migrants caught in crises, drawing on two 2018 publications from the International Centre for Migration Policy Development (ICMPD). It delves into the lived experiences of primarily low-skilled labor migrants before, during, and after a crisis, as well as responses of stakeholders, based on research conducted on specific crises in the Central African Republic, Côte d’Ivoire, Lebanon, Libya, South Africa, and Thailand. Above all, the research demonstrates the agency and resilience of migrants, who develop flexible solutions in the face of disaster. For labor migrants with limited resources of their own, the roles and capacities of origin and host countries often shape the options available to them during a crisis. For example, during the civil unrest that followed the toppling of dictator Muammar Gaddafi in Libya in 2011 and bombings in Lebanon in 2006, certain foreign nationals from Europe or North America were successfully evacuated, while others struggled to obtain basic assistance from their embassies. In the Libyan case, international organizations—especially the International Organization for Migration (IOM) and the UN Refugee Agency (UNHCR)—assumed primary responsibility for evacuations and provision of essential services in the immediate term. In Libya—a popular transit and destination country for migrants—institutional structures during and after the civil unrest that culminated in the fall of the Gaddafi regime were and continue to be dysfunctional today. Indeed, in the years since 2011, migrants have faced dangerous situations, including state-sanctioned abuses (for example in detention centers) and threats from criminal and armed groups, including Da’esh (the Arabic name for ISIS). The inability of the government to ensure the protection of migrants in these cases has thus meant increased risks to their well-being during and after crises. Meanwhile, the migration or civil-protection policy framework in place pre-crisis strongly affects the resilience and responses of migrants in the face of disaster. Lack of documentation is one of the strongest deterrents to seeking help and presents an obstacle to receiving assistance (for example due to fear of detention or deportation by state authorities, whether in the host or origin country), as well as to the act of crossing a border in search of safety. In some cases, the responses of actors, particularly state actors and employers, can impose significant additional barriers. For example, during the 2006 Israeli bombing of Beirut, some employers of migrant domestic workers fled the city, leaving their employees trapped in their apartments and with few options for escape. Media reports documented several domestic workers leaping from their balconies; others were rescued by their peers or Lebanese police who had been informed of their plight by friends. For migrants whose status in the country was tied to their employers, or for those with irregular status, options were constrained by the potential for abuse by employers or others, on the one hand, and by the threat of imprisonment or deportation, on the other. In Lebanon, migrant domestic workers’ experiences during the 2006 bombardment reportedly contributed to their desire to establish more concrete solidarity mechanisms, from community groups, to direct and indirect (through NGOs) lobbying, to the more recent establishment of a migrant domestic workers union. With the final draft of the GCM now ready and expected to be ratified by the end of the year, what issues should policymakers keep in mind regarding the needs of migrants in crises? Six main areas of concern emerged from the author’s research, related to migrants displaced by disasters and the institutions responding to them. These issues also echo recommendations and lessons put forward in the academic literature and the policy guidance available on responding to migrants caught in crises or in vulnerable situations, as well as the language used in the final draft of the GCM. Human-rights challenges across migrant trajectories (in origin, host, and transit countries), and potential vulnerabilities to abuse, represent significant risks to migrants’ safety and access to services during crises. These challenges can be seen in the poor or discriminatory treatment migrants reported experiencing before crisis, including detention; lack of labor protections; limited or no freedom of movement; denial of the right to association; and prejudice or abuse by employers, the host society, or authorities such as police. Such discriminatory treatment can become exacerbated during a crisis in extreme ways, as experienced in all case studies under study, whether migrant domestic workers in Lebanon during the 2006 bombings, Zimbabwean victims of xenophobic violence in South Africa in 2008 and 2015, sub-Saharan migrants in Libya in 2011 who were violently attacked because they were perceived as potential Gaddafi mercenaries, as well as in other cases. Social inclusion and cohesion of migrant groups within a society (and lack thereof) shape the capacity of migrants to act in the face of crises or other adverse events. Individual-level factors—such as economic capital, education level, and language skills—and societal-level characteristics—socioeconomic integration, length of residency, legal status and documentation, relationships with the host population, familial and friend networks—are critical in this regard. In Thailand, migrants from Laos and Myanmar were able to more easily communicate and eventually integrate into the country economically and socially compared to other foreign workers, as their languages were similar to Thai. As a result, they were better able to understand and respond to emergency information disseminated during the flooding crisis. At the same time, legal status can affect socioeconomic integration, and in turn migrant responses to crisis. On the one hand, irregular migrants in Côte d’Ivoire from Burkina Faso and Ghana had precarious and substandard employment prior to the outbreak of hostilities and eventually violent conflict. On the other, in the Central African Republic, many Cameroonian and Chadian migrants had obtained citizenship or residency documents, and some were thus able to become self-employed, and in some cases successful businessmen, prior to the crisis. In the latter case, migrants had more flexibility and resources available to them during the crisis, as compared to those with more precarious employment and fewer resources in the former. Discrimination, xenophobia, and xenophobic violence were documented in all the case studies and noted by all migrants interviewed in the ICMPD research, whether before, during, or following a crisis. Such discrimination hindered their access to services, the banking system, equal pay, or even payment of salaries, and in some cases led to physical and verbal abuse, scapegoating, arbitrary arrests, and detention. Further, experiences of discrimination can often become exacerbated during a crisis (as with human-rights challenges). During the political unrest in Côte d’Ivoire in 2002-03 and 2010-11, as well as during the outbreaks of violence in South Africa in 2008 and 2015, xenophobic violence was itself a key feature of the crises. In both cases, there were consistent levels of discrimination and acts of violence against migrants, as well as antimigrant sentiment in media and government rhetoric prior to the outbreak of widespread violence. In Côte d’Ivoire and Libya, reprisals and targeting of migrants (Liberians and Burkinabe in Côte d’Ivoire, sub-Saharan migrants in Libya) emerged during the crisis due to the perception of migrants as parties to the conflict. Men were targeted with harassment, violent beatings, and killings, while women perceived to be connected to an adversary were raped. Civil-society and intergovernmental organizations, government and private-sector actors, and migrant networks can all play important roles in responding to migrants caught in crises. In the author’s research, governments and intergovernmental organizations were the main operational actors, particularly in terms of the scale of operations of emergency response and organized returns. However, challenges and opportunities remain for coordination between these actors, including international cooperation at the border and on reintegration processes for returned migrants. In Thailand, lack of clarity over which government entity was leading the response hampered an effective response, as well as migrants’ understanding of and ability to access services and support. For migrants who return to their origin country during a crisis, the sudden termination of the flow of remittances can be a major challenge at the family and community levels. Remittances are used by the family members of migrants to repay debts, cover daily needs, buy real estate, pay for health care and school fees, and support siblings’ marriages. Thus their termination, as well as the financial burden of an additional household member (the returnee), can have a strong negative impact on families, often placing them in a more precarious position. In Libya, migrants were not able to access the formal banking system, so they sent money back through friends returning home, or else hid their money. Some fleeing the violence thus had to leave behind their savings: One Ghanaian man lost US $8,000 in his rush to escape the violence. Families therefore had to rearrange their finances, in turn impacting household nutrition, education, and health. This additional pressure sometimes also led to animosity between spouses, as was reported in Ghana and Egypt. Nonetheless, some migrants were able to return with savings, and productively invested it in starting a new business or learning a trade. Some Burkinabe and Nigerien returnees took up work in agricultural production (coffee and cocoa plantations, palm oil production, tree farming, or processing cassava into attiéké), while others established their own small- to medium-sized enterprises in fields such as sewing, catering, and taxi services. Precariousness or lack of legal migration status (as well as sponsor-tied regularity) can negatively affect migrants’ opportunities and access to rights and services before, during, and after crises. This factor has been connected to human-rights violations, including discrimination and xenophobia. It has also hindered crisis responses: In Libya in 2011, countries of origin, civil society, and intergovernmental organizations had inaccurate information on the number and profile of migrants in the country at the time, and thus were unable to prepare and respond effectively. Irregular migrants are also often fearful of apprehension and/or deportation, and thus are less likely to seek out assistance from official sources in some cases. In Lebanon, Libya, Thailand, and South Africa, migrants were reticent to use government shelters, report crimes, and request protection or redress. This affected migrants’ access to emergency, justice, and protection services before, during, and following the crisis. At the same time, the emergency-response engagement of civil-society actors, informal networks (such as faith-based groups), and prominent migrants within their community facilitated access to information. Such actors are key mediators in this regard, particularly during a disaster. Phone sessions with a Ghanaian radio station during the 2011 Libya crisis helped establish migrants’ needs and locations, while one domestic worker in Lebanon in 2006 served as a “hotline” for migrants in her community and for families in the country of origin looking for information on loved ones in the country. Each situation is different, whether in terms of the type of crisis, the institutional structures in place to respond to it, or the impacts on and outcomes for affected migrants. Nonetheless, these factors represent the most basic and urgent issues that should shape responses to migrants, whether before, during, or after a crisis. Following the foreseen adoption of the Global Compact on Migration at the end of 2018, the next step is to implement measures that improve the protection of migrants. Already, capacity-building measures implemented by ICMPD and IOM have focused on strengthening embassies’ contingency plans, emergency communication, and emergency responses for migrants in Côte d’Ivoire, Lebanon, Mexico, South Africa, Thailand, and Ukraine. Other capacity-building initiatives foreseen under the GCM can expand these efforts, as well as tackle new priority areas. Finally, while the GCM will be formally adopted by UN Member States, it cites the importance of partnership and engagement with “migrants, civil society, migrant and diaspora organizations, faith-based organizations, local authorities and communities, the private sector, trade unions, parliamentarians, national human-rights institutions, the International Red Cross and Red Crescent Movement, academia, the media, and other relevant stakeholders.” As the author’s research has shown, nontraditional actors have often filled the gaps in response and have served as key mediators in facilitating migrants’ access to protection. When they are engaged—concretely and sincerely—in the implementation of the GCM, via various forms of cooperation, frameworks, and capacity building, these actors will surely be key to improving the situation of and responses to migrants caught in disasters. This article is based on two International Centre for Migration Policy Development (ICMPD) reports, Improving Our Responses to Migrants Caught in Crises: Conclusions and Policy Recommendations for Global Policy-Making and Resilience in the Face of Adversity: A Comparative Study of Migrants in Crisis Situations. The reports were supported by the European Commission through the project “Migrants in Countries in Crisis: Supporting an Evidence-Based Approach for Effective and Cooperative State Action” and are available online. Black, Richard and Michael Collyer. 2014. Populations “Trapped” at Times of Crisis. Forced Migration Review 45: 52–6. Black, Richard, Nigel Arnell, W. Neil Adger, David Thomas, and Andrew Geddes. 2013. Migration, Immobility and Displacement Outcomes Following Extreme Events. Environmental Science & Policy 27 (1): 32–43. Bravi, Alessandra, Katharina Schaur, Alexander Trupp, Teeranong Sakulsri, Reena Tadee, Kanya Apipornchaisakul, and Sureeporn Punpuing. 2017. Migration and Natural Disasters: The Impact on Migrants of the 2011 Floods in Thailand. Vienna: International Centre for Migration Policy Development. Available online. Cassarino, Jean-Pierre. 2004. Theorising Return Migration: The Conceptual Approach to Return Migrants Revisited. International Journal on Multicultural Societies 6 (1): 253–79. Crush, Jonathan, Godfrey Tawodzera, Abel Chikanda, Sujata Ramachandran, and Daniel Tevera. 2017. 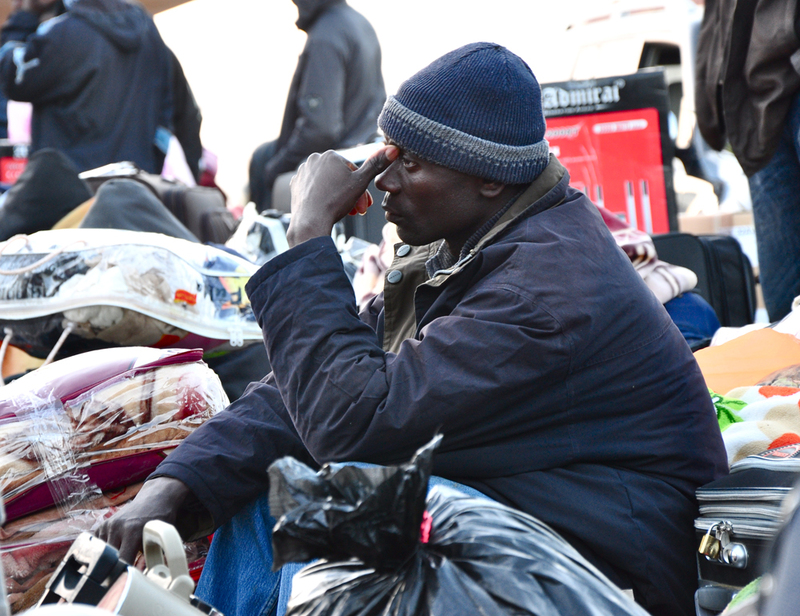 The Double Crisis: Mass Migration from Zimbabwe and Xenophobic Violence in South Africa. Vienna: International Centre for Migration Policy Development. Available online. Global Migration Group. 2018. Principles and Guidelines, Supported by Practical Guidance, on the Human Rights Protection of Migrants in Vulnerable Situations. Rome: Global Migration Group. International Centre for Migration Policy Development (ICMPD). 2018. Improving our Responses to Migrants Caught in Crises: Conclusions and Policy Recommendations for Global Policy-Making. Vienna: ICMPD. Available online. ---. 2018. Resilience in the Face of Adversity: A Comparative Study of Migrants in Crisis Situations. Vienna: ICMPD. Available online. International Organization for Migration (IOM). 2016. Guidelines to Protect Migrants in Countries Experiencing Conflict or Natural Disaster. Geneva: IOM. Mansour-Ille, Dina and Maegan Hendow. 2017. Lebanon Case Study: Migrant Domestic Workers and the 2006 Crisis. Vienna: ICMPD. Available online. ---. 2018. From Exclusion to Resistance: Migrant Domestic Workers and the Evolution of Agency in Lebanon. Journal of Immigrant & Refugee Studies 16 (4): 449-69. Martin, Susan F., Sanjula Weerasinghe, and Abbie Taylor, eds. 2014. Humanitarian Crises and Migration: Causes, Consequences and Responses. London: Routledge. Nansen Initiative. 2015. Agenda for the Protection of Cross-Border Displaced Persons in the Context of Disasters and Climate Change. Geneva: Nansen Initiative. Pailey, Robtel Neajai, Henri Yambene Bomono, and Remadji Hoinathy. 2017. Central African Republic at a Crossroads: Socio-Economic Development Implications of Crisis-Induced Returns to Cameroon and Chad. Vienna: ICMPD. Available online. Pailey, Robtel Neajai, Leander Kandilige, James Suah Shilue, and Mahamadou Zongo. 2017. Côte d’Ivoire at a Crossroads: Socio-economic Development Implications of Crisis-induced Returns to Burkina Faso, Ghana and Liberia. Vienna: ICMPD. Available online. Weerasinghe, Sanjula and Abbie Taylor, with Sarah Drury, Pitchaya Indravudh, Aaron Gregg, and John Flanagan. 2015. On the Margins: Noncitizens Caught in Countries Experiencing Violence, Conflict and Disaster. Journal on Migration and Human Security 3 (1): 26-57. Zampagni, Francesca, Hassan Boubakri, Remadji Hoinathy, Leander Kandilige, Hamidou Manou Nabara, Sara Sadek, Mohamed El Sayeh, Mahamadou Zongo, and Maegan Hendow. 2017. An Unending Crisis: Responses of Migrants, States and Organisations to the 2011 Libya Crisis. Vienna: ICMPD. Available online. Maegan Hendow is a Research Officer at the International Centre for Migration Policy Development, specializing in irregular migration and fundamental rights issues and in the Middle East and North Africa (MENA) region.